I want our garden to resemble a natural environment as much as possible but the roses don’t seem to quite fit. I try to incorporate roses in the garden anyway. I love roses and I think any garden without roses is not a complete garden. Any readers who don’t like roses and think that they are a pain to take care of, please do not take offense. It’s just my personal take on it. There are periods, before the roses bloom in late spring and in between blooming (for the re-bloomers) when there are nothing to see but green leaves. I need plants to give some color to the trellises and the area adjacent to the rose bushes. 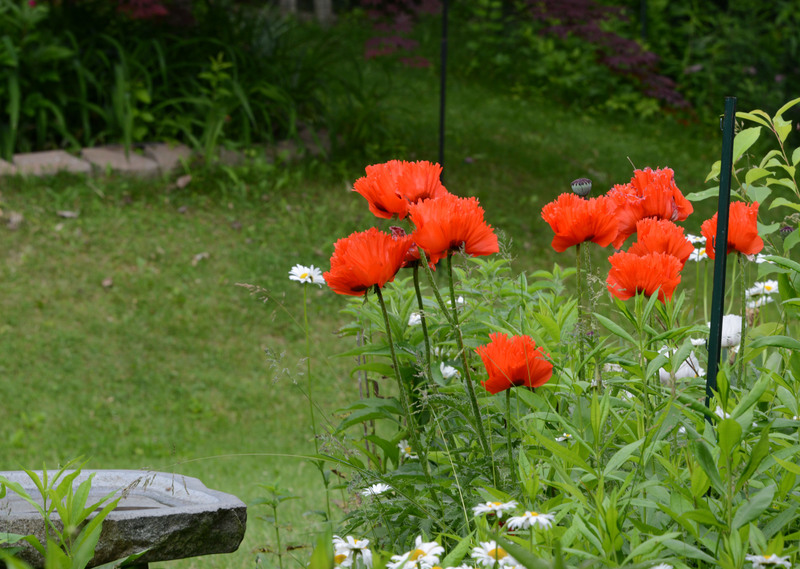 There are a few plants I found that work well for our garden and make the garden look more natural. 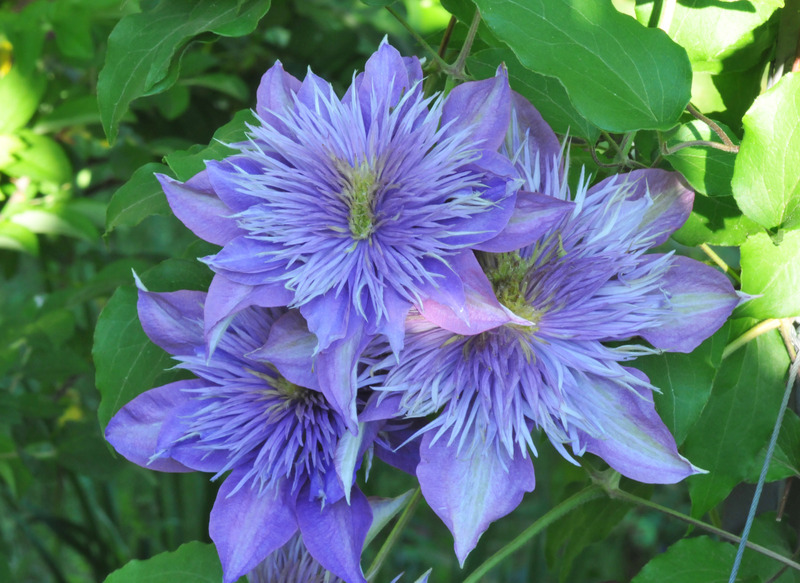 The first choice, as recommended by many professional gardeners, is Clematis. They intertwine with rose branches and flower here and there between them. 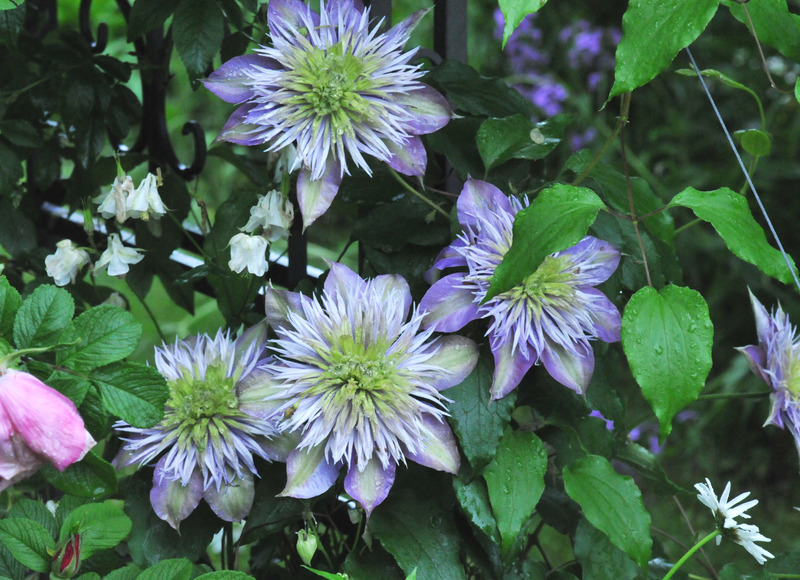 For mid-spring, Clematis ‘Crystal Fountain’ is really lovely. 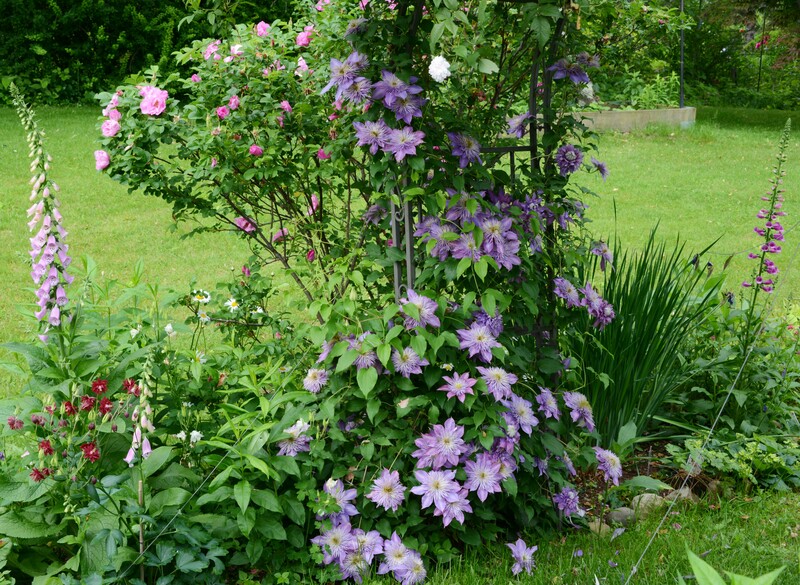 Clematis ‘Betty Corning’ takes the trellis next to the Rose ‘Eden’. It blooms for months if deadhead. It’s also lightly fragrant. Peony is another good companion for roses. Unfortunately, I’ve forgotten the name of the white one above. But the flowers large and quite fragrant. This peony came with the house so I don’t know the name. I just divided them and tucked them here and there. Iris is also a good rose companion. This one is right next to the Rose ‘Jewel Topaz’ which is still budding. A new wave of rose buds have started to emerge now, not as profuse as in late spring. I’ll keep seeking rose companions and in the meantime, the echinacea and garden phlox are in full bloom. I love spring time. There is a lot of work to do in the garden in spring in order to keep up with the fast growing plants but it’s the best time of year, in my opinion anyway. 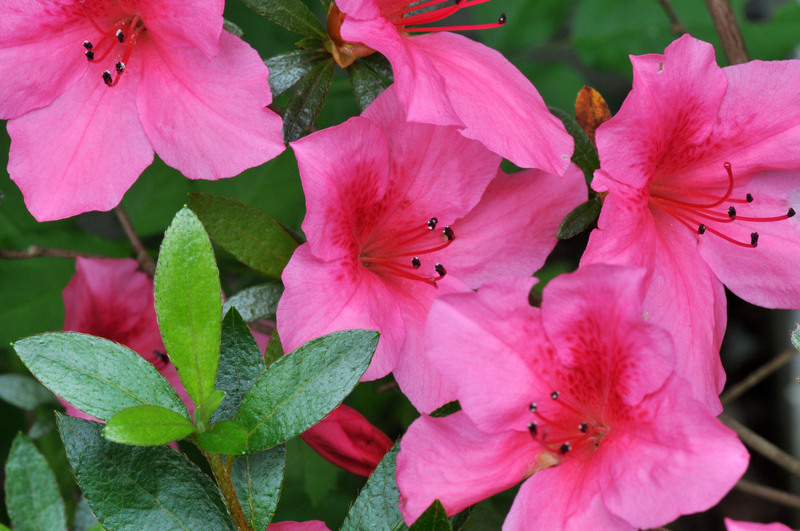 When the weather gets gradually warmer, plants follow accordingly and they are much easier to keep up with. This year the weather has been temperamental. It has gone up to 80° F for a few days then dropped down to low 40° F. When the temperature hit 80 degree, plants in the garden shot up really fast only to be stunned by a suddenly cooler temperature later. I have to put down a plan to widen the walkway. That entails moving some plants out of the way. It will have to wait until next year since the plants are now too tall for me to safely transplant them. We lost some plants we really love to the harsh winter but what’s left in the garden hasn’t disappointed us. Color and scents throughout the garden. 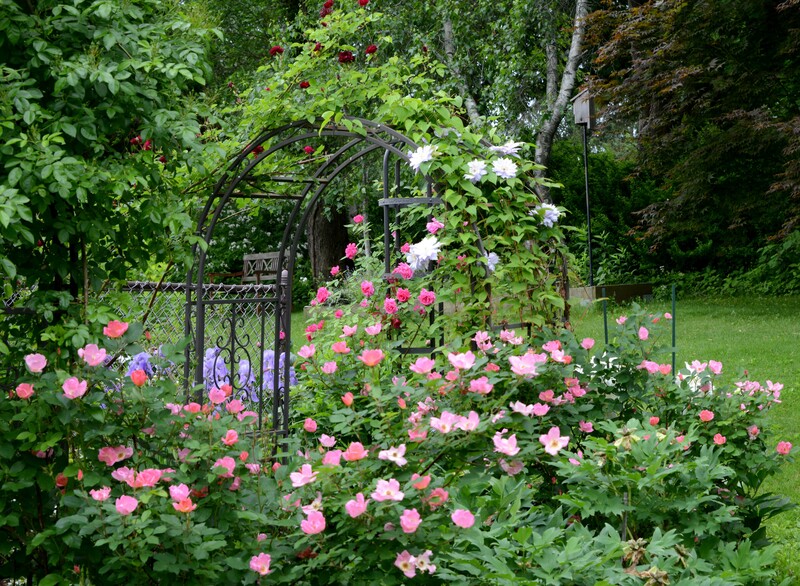 Growing roses without growing clematis is almost a crime. They are supposed to be great companions for one another. It’s not the term I normally use but this is what I read in gardening books and websites. I can confirm this information as accurate having now grown a few kinds of clematis with roses. 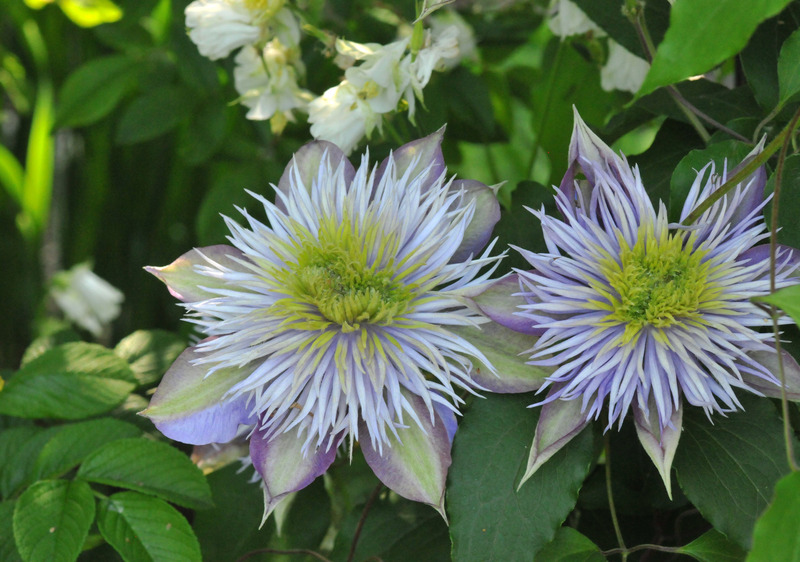 Lucky that I didn’t try to grow the Clematis ‘Montana’ (Clematis Montana var. 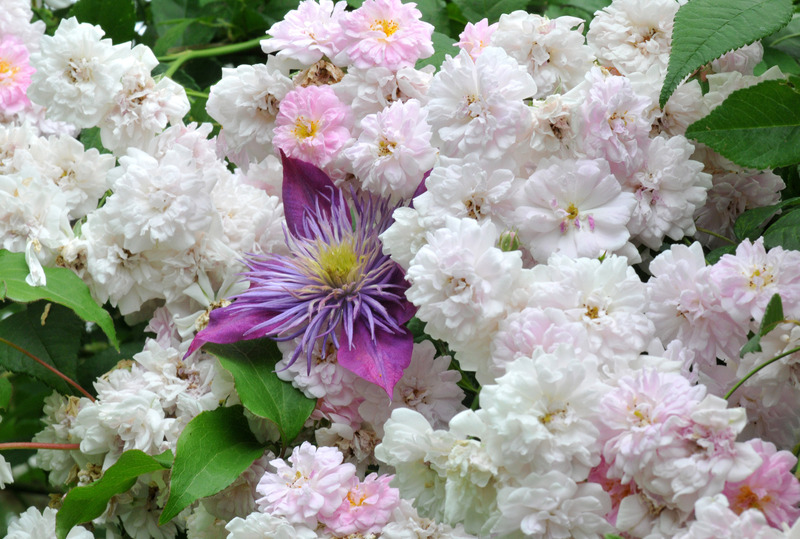 rubens) and Clematis ‘Sweet Autumn’ (Clematis terniflora) with any roses. They are very unruly, very fast growers and would have suffocated the roses. They are better standing alone or climbing a tree. What we have in the garden seems to work well with the roses. 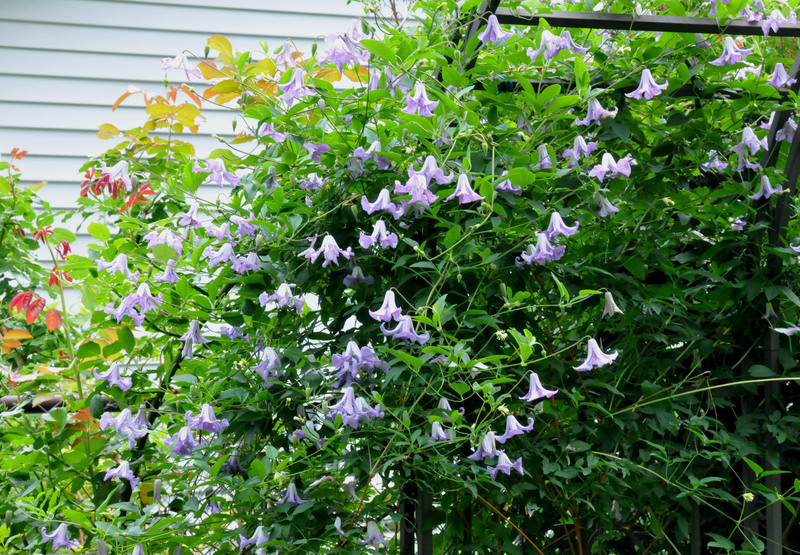 It’s the type that grows 8 to 10 feet high like the clematis pictured below. 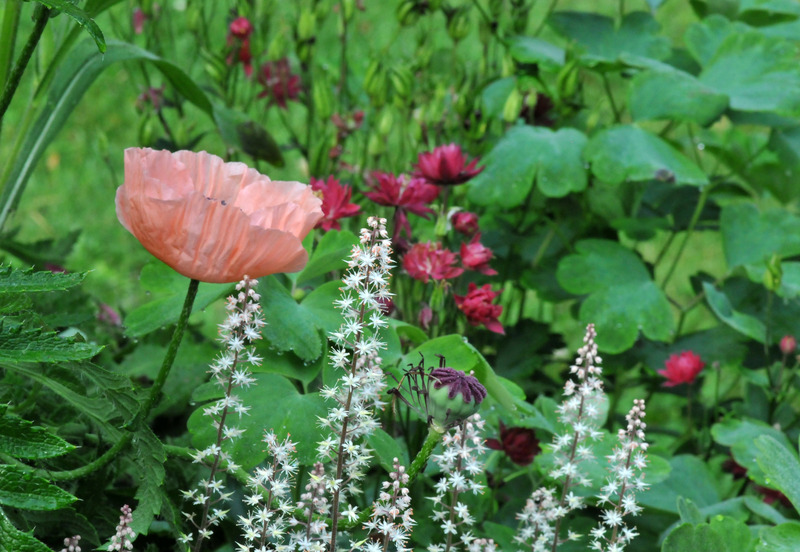 The clematis ‘Crystal Fountain’ is lovely next to the ‘Paul’s Himalayan Musk’ rose. 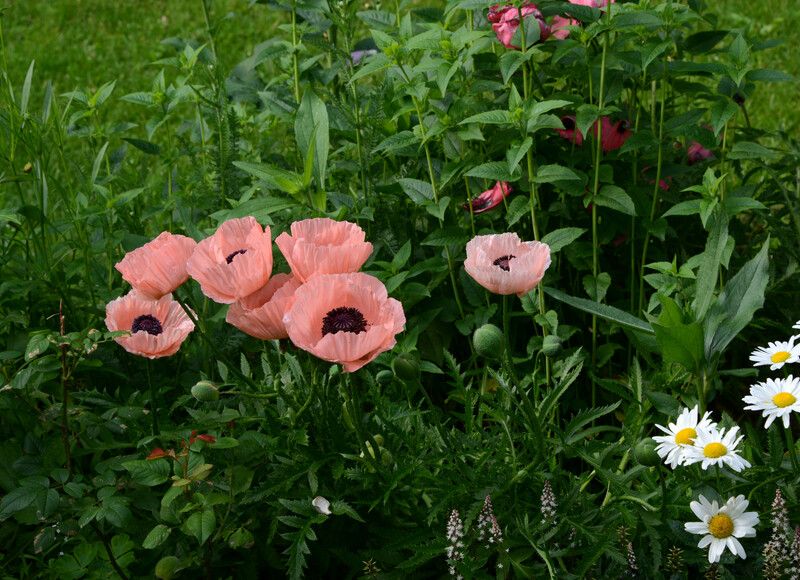 There were more flowers in late spring, but now just a scant few blooms here and there. 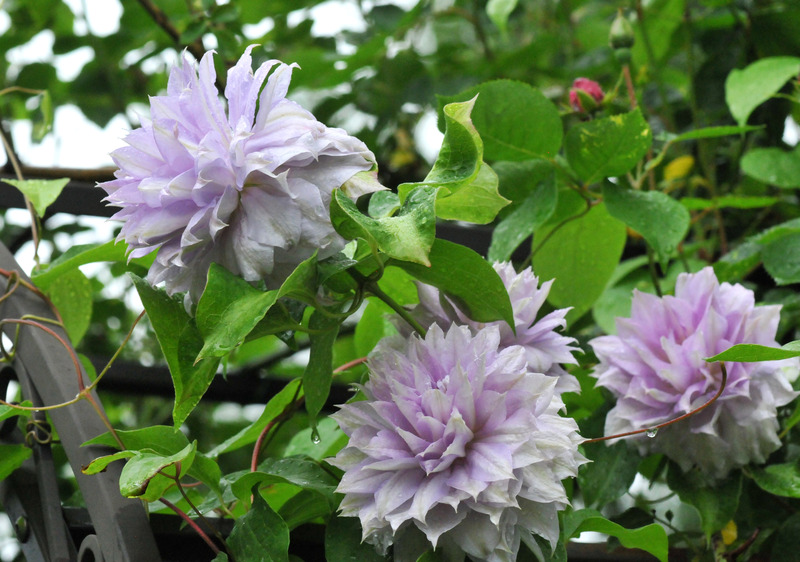 We grow Clematis ‘Belle of Woking’ on the opposite side of Rose ‘Blaze’ on a trellis. 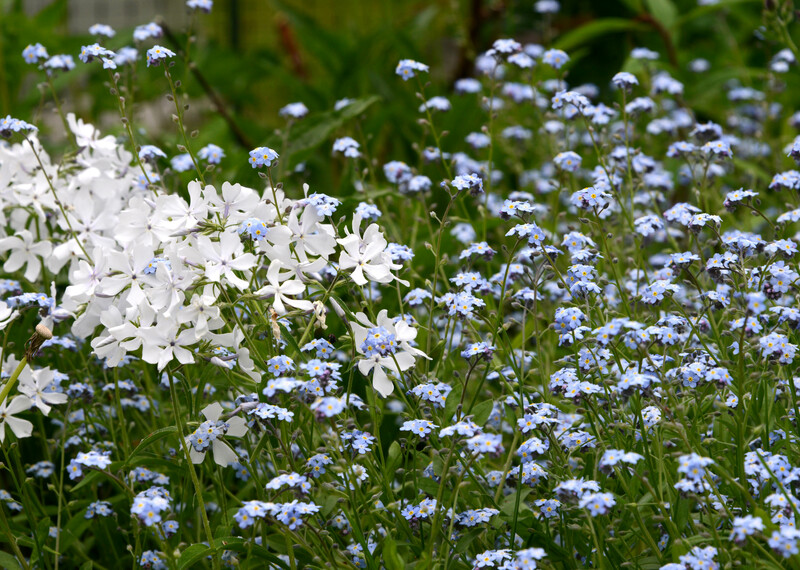 They seem to do well together especially when the ‘Belle of Woking’ flowers are fully opened and turn from lavender to almost white in color before the petals drop. 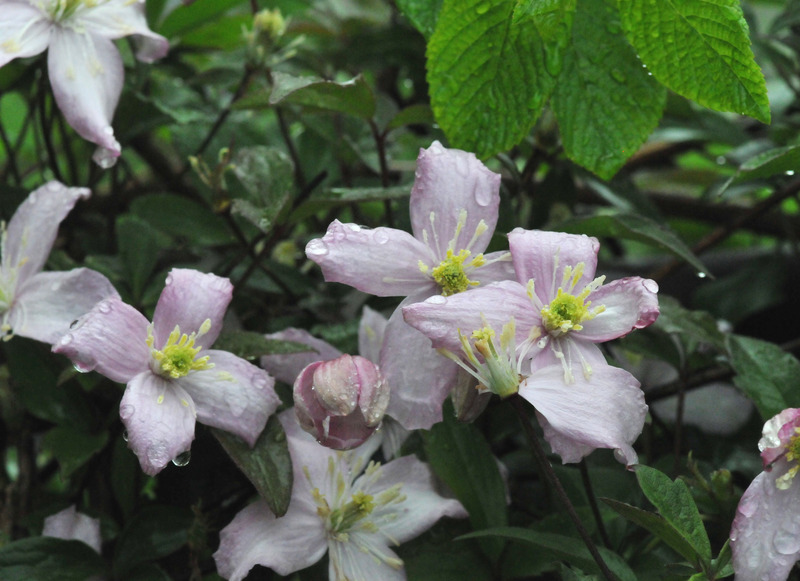 We added the Clematis ‘Betty Corning’ (Clematis viticella) to the garden planted near the ‘Eden’ rose last year. It has proved to be perfect. Though it is a fast grower, it’s very well behaved and produces plenty of little lavender colored flowers with a faint fragrance. 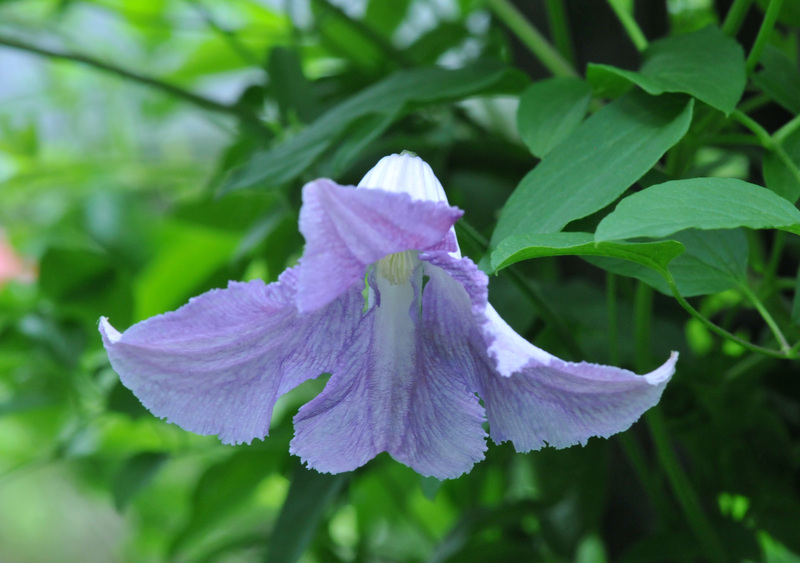 Most of the clematis flowers have faded away by now. Although the ‘Betty Corning’ is still producing flower buds. 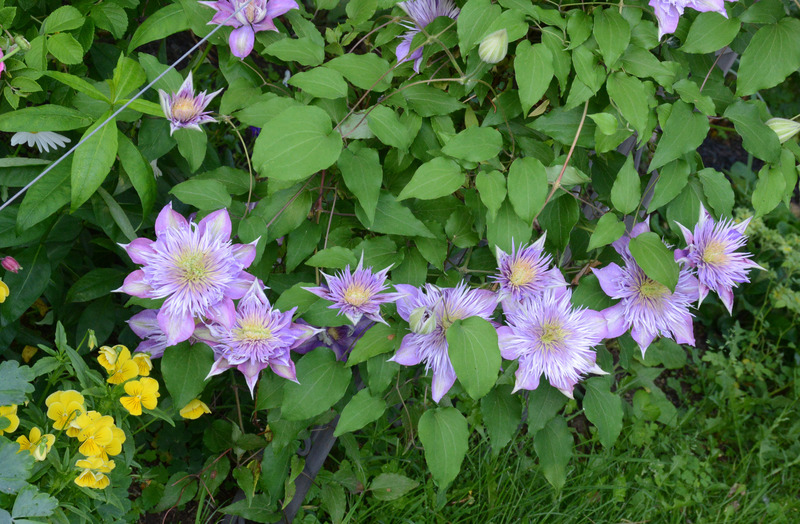 I did add another clematis this year after I realized that, except for the Montana and Sweet Autumn, all the clematis in the garden have bloomed in a similar shade of lavender. 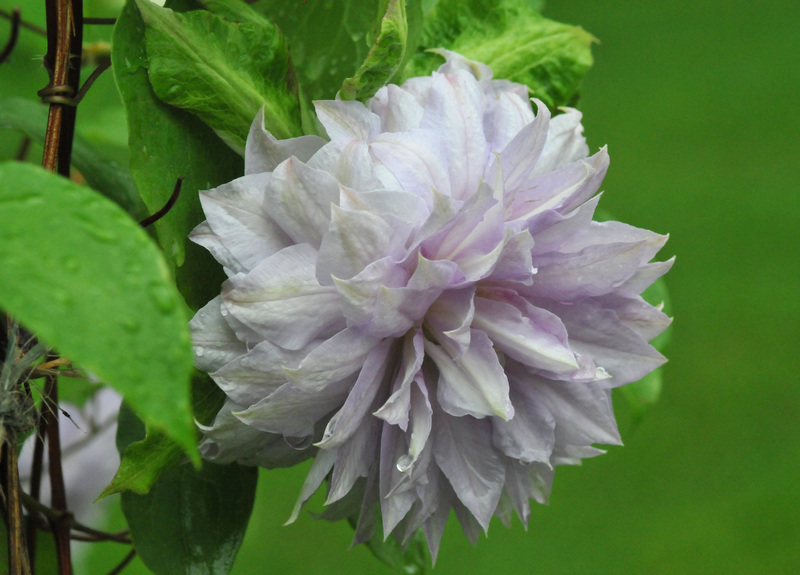 So I added Clematis ‘Rubromarginata’ (Clematis x triternata) which is supposed to produce small cream colored flowers with a violet edge, with an almond scent. Let’s see how it turns out. Spring has come and gone and somewhat unevenly too. The gap between day and night temperatures was very wide for some time, then a continuously pouring rain for several days. During the 70 to 85 degrees days, the plants shot up, leaves peeking out and flowers budding only to be knocked back by very cold nights. Vegetables, except for the tomatoes and chili peppers, love this kind of weather but the roses had their blooms battered and washed off and their leaves have developed black spots. I’m not really complaining since our house is still standing and our garden remains intact. Mother nature is still kind to us. Now summer is officially here but the rain continues. In the next five days the prediction is for heavy storms or scattered thunder storms. 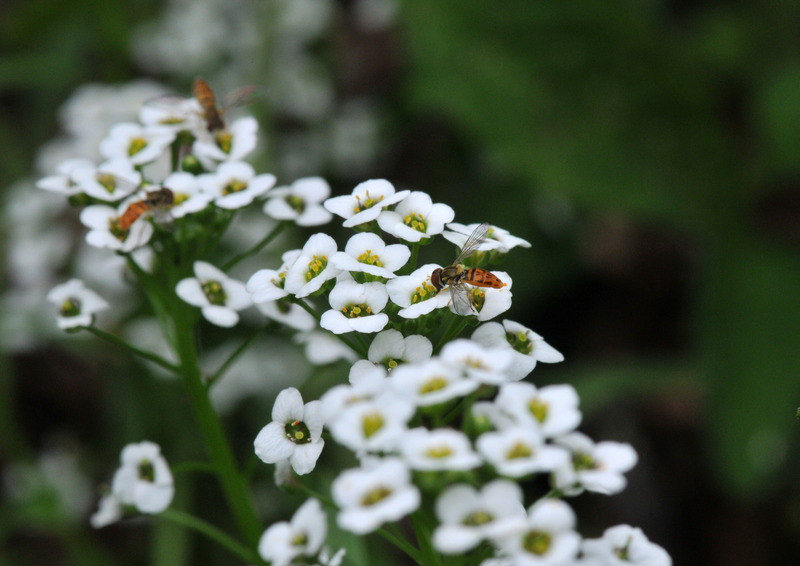 In the meantime the summer flowers and insects are taking their turn while spring has faded slowly away. This is how spring has unfolded in our garden so far. When I first planted roses in our garden. I didn’t realize that many local area roses bloom only once a year. Where I came from, roses bloom year-round. I didn’t want to dig the once-bloomers out. Nor did I think my ignorance should be an excuse to foreshorten their lives. Besides they’ve never missed producing beautiful fragrant flowers every summer, albeit, once only. Alternative? 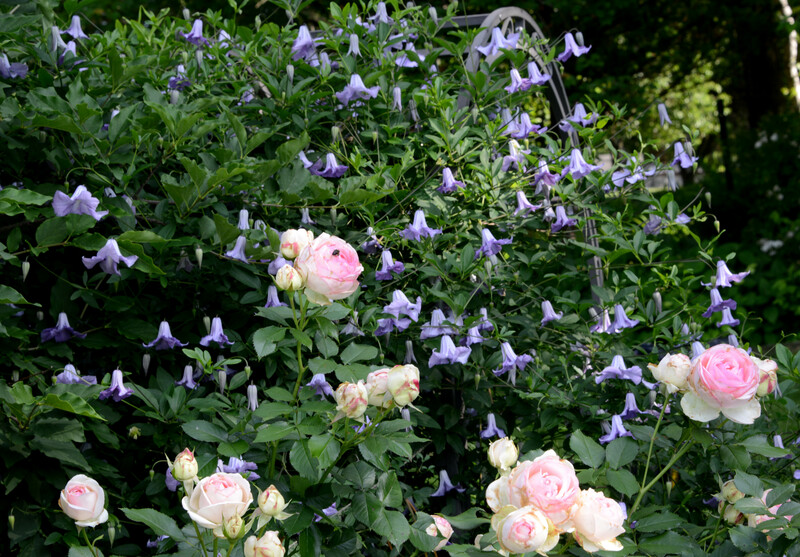 Find companion plants that will entwine themselves among the existing roses and produce continued color for the rest of the season. 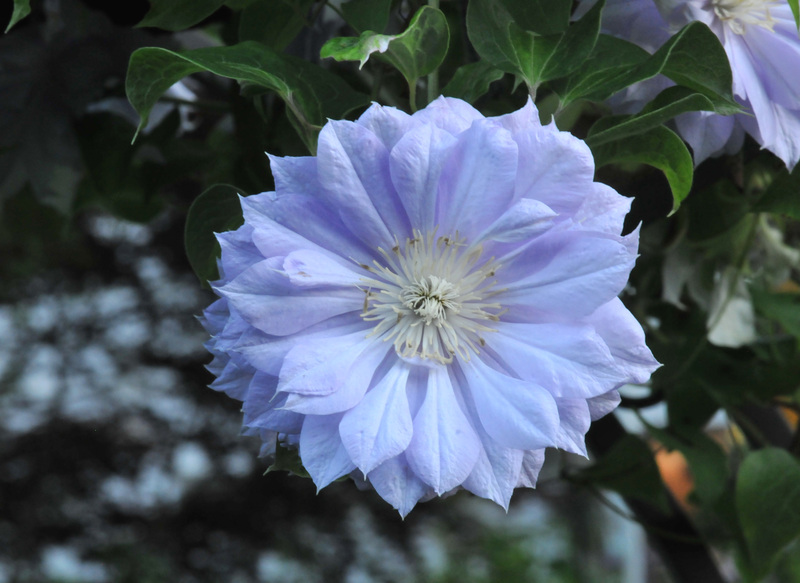 Most garden books recommended Clematis…and I eagerly followed the recommendation. These fast growing vines are doing their job pretty effectively. Some of them are growing too fast for me, the Montana for instance, and I still have a lot to learn about pruning them. But so far, they are just fascinating vines in all shapes, colors and fragrances. Here are some of the early bloomers..
Belle of Woking with a little red rose bud-Blaze in the background. 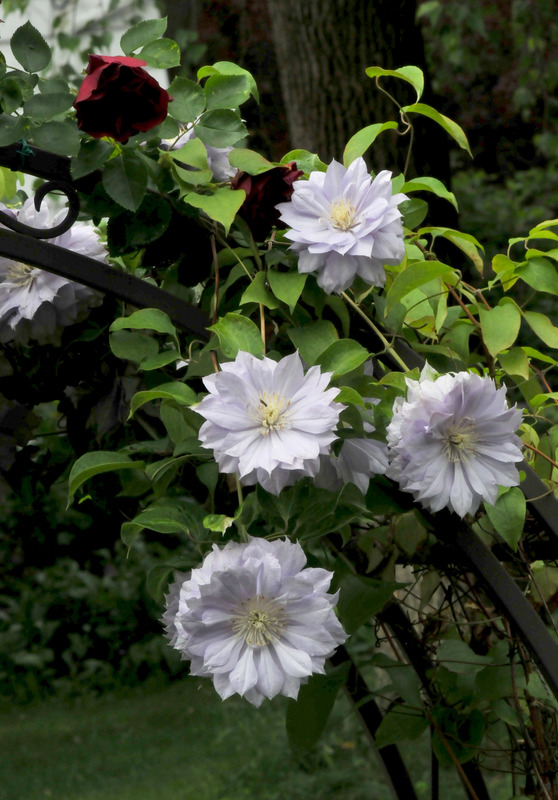 Montana-one of the fragrant clematis we have.